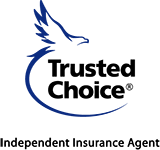 Home, Landlord, Auto, Car, Business, Umbrella Insurance in Celebration Florida - Celebration Pointe Insurance Agency, Inc. 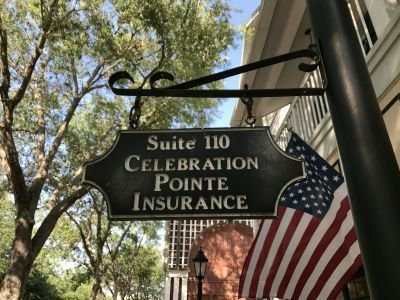 Welcome to Celebration Pointe Insurance Agency, Inc.
We service the Celebration area and throughout the state of Florida. At Celebration Pointe Insurance Agency, Inc., each one of our clients is given a dedicated team of experts that work together to proficiently address all your concerns. Just give us a quick call today at 407-566-1133 or Submit one of our quick online quote forms - with the help of our dedicated business partners; we conveniently offer an entire solution for all your insurance and business needs. I just want to thank you again for helping with my insurance policy. It’s rare anymore to find people who are willing to help like you. - Jeff D., Ft. Lauderdale, Fla. I needed insurance real fast and they gave me several options, basically overnight. I have both my properties in Orlando with them and I am very happy with the service I am getting. I would highly recommend them to anyone. I am always impressed with the professional, efficient and knowledgeable staff at Celebration Pointe Insurance. - Lisa M, Reunion, Fla. I just wanted to take the time to thank you…for your help in helping establish and sustain quality homeowner’s insurance at an affordable rate. I know in these rough economic times this has not been easy, but you have always come through for me. - Robert S., Miami, Fla.
You were quick, honest and so very helpful to me. I appreciate that your company was able to lower my car and house insurance with the same coverage I had. I have already referred several of my friends to your company. - Ramon D., Westfield, Mass. You handled my account quickly and had everything all done with no hassle to me. I would refer you to all my friends. Thank you so much for excellent customer service that you provided to me. - Joann M., Orlando, Fla.
We are so very grateful for your generous support of the Corpus Christi Youth Ministry and our Contemporary Choir! Your offerings have allowed us to enhance our programs for the teens of our parish and the community. Celebration Pointe has been an excellent agency partner and exemplifies the professionalism and friendly, knowledgeable agency personnel that make for a win - win – win from company - to agent - to customer.